Removable adhesives are used for semi-permanent and temporary displays and promotions. LAMATEK adhesives remove cleanly from most surfaces leaving no residue or marks even after extended periods of time. 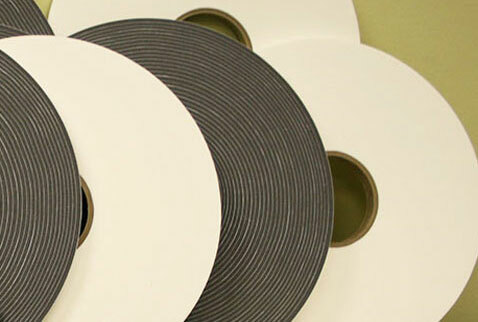 Removable adhesives are available on single or double sided tapes for easy peel and stick application. Finished products are supplied in rolls or spools of tape; cut-to-width pieces and pads; or die-cut dots, hexagons and other custom shapes. Residue-free, removable adhesive is available on most of our foam and sponge materials. Single and double sided adhesive lamination is available for temporary applications.